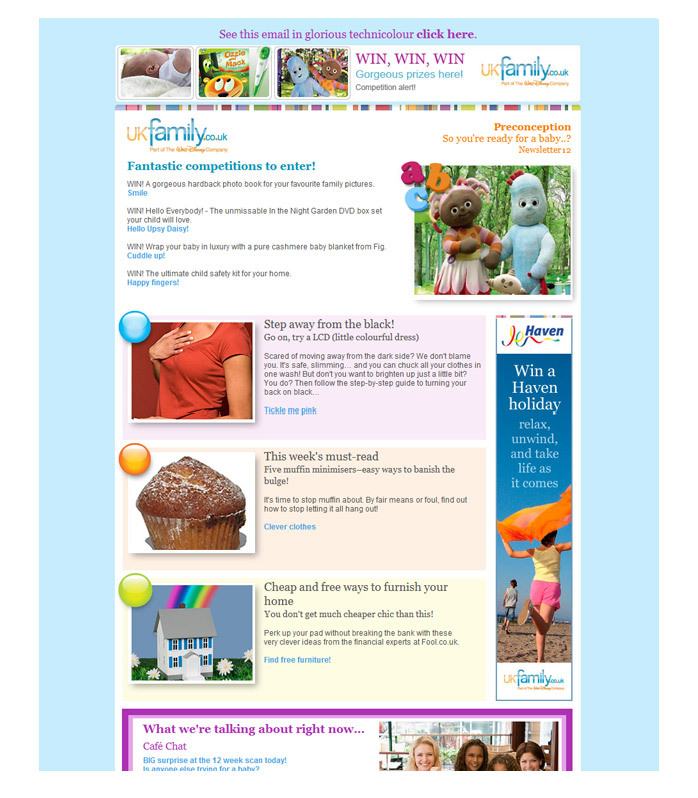 Conception, design, production and front-end development for a launch email promoting the UKfamily website (a Disney company) aimed at all things parenting: stories; advice; tips & activities; alongside online community support. 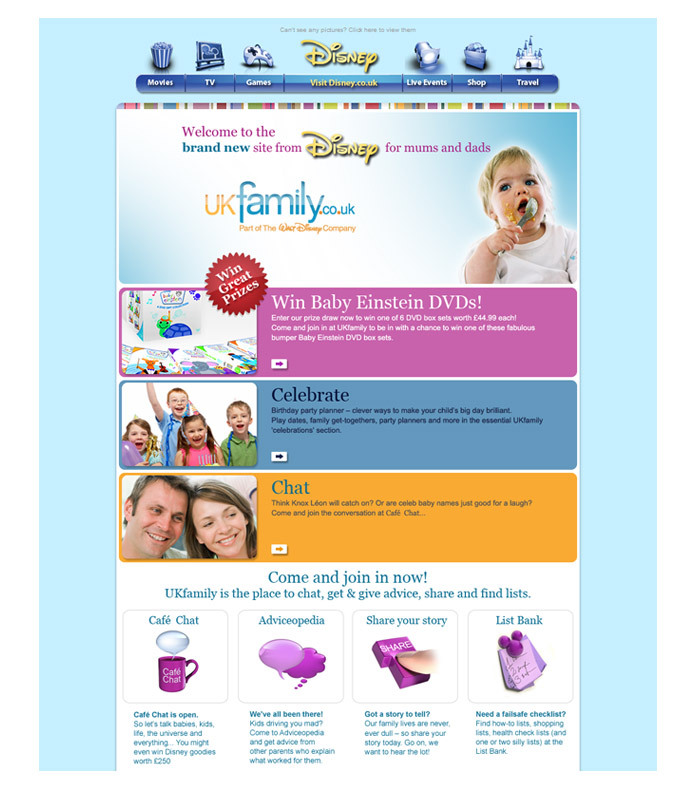 The design allowed for a healthy balance of text and images (all email clients block images for security and speed reasons by default) while carrying the Disney branding alongside the UKfamily design to positively place the site as trustworthy through backing by a well known and loved entertainment provider. Conception, design, production and front-end development for a UKfamily weekly email aimed at (free) subscribers informing them of the latest news, articles, competitions and advice available on the site. As with the launch email an emphasis was placed on text balanced with images allowing for easy updating and promotion of weekly developments of the sites content. A very small selection from a large amount of banner ads, both static and flash, designed for UKfamily. I devised a template that allowed for quick turnaround to easily meet demands from the editorial team. Similarly to the full width banners these MPU (Main Promotional Units) conformed with IAB standard sizes and were planned and designed for quick customisation to meet editorial requirements. Image asset design and production for Disney site pages (mobile & Desktop) across EMEA to support promotions and drives depending on business needs and seasonal demands. It was great fun to work with so many beautifully illustrated characters favourites. Flash banners, site assets and promotional images for trending sporting events on a daily basis.